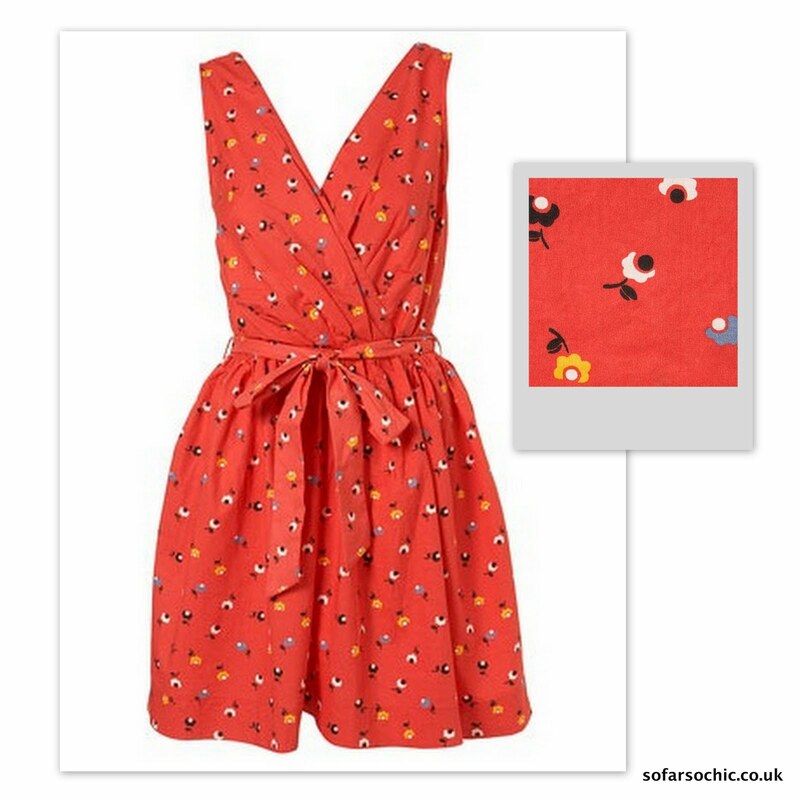 I've just ordered this cute sun dress from Topshop. I liked the retro shape and print. I'm finding it harder and harder to buy clothes; extreme pickiness combined with lack of funds is not a great combo. If anyone has seen any cute cotton summer dresses not designed for flat-chested 13 year olds do leave me a comment and I'll check them out! Update: This dress is such a weird shape! It's cut for a chubby oompa loompa – short and wide. When I tried it on it looked as if I was wearing a child's dress! The waist is on my ribs! And RETURN. This is really cute! I may have to add this to my wish list... do let me know your thoughts when it arrives. Matalan had some really nice dresses when i went at the weekend! @Sophie - The last few times I've been to Matalan I've not seen anything good even though there was a lush white and blue striped dress in a magazine. No sign of it in store.